We would like our corrugated pallets to be your primary pallet, that's why we designed the LIFT™ Pallet to be versatile. 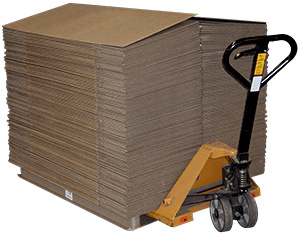 At 3.5 inches high, the corrugated pallet reduces your pallet area storage requirements. The LIFT™ Pallet can also be adapted to your product's size or weight, while the deck material can be adapted to accommodate different load requirements.